The Crusaders will host their New Zealand rivals Hurricanes on Saturday morning (European time), in what should be a mouthwatering Super Rugby semifinal on in Christchurch. The Crusaders have been hands down the best team in the Southern Hemisphere over the past two seasons, winning the title last year and dominating the regular season yet again this year. The Crusaders have posted an incredible 14-0-2 record in the regular season, and backed it up with a big win over the Sharks in last week`s quarterfinals. The Crusaders won that one 40-10, playing some scintillating rugby throughout the match. The Hurricanes ended the regular season with a 11-0-5 record, largely due to some very poor form in the last few rounds. The Canes entered the playoffs with 4 losses in their last 5 outings, and there were questionmarks about their ability to beat the Chiefs in the quarters. Nevertheless, Hurricanes played some of their vintage rugby, like they usually do at home, and posted a 32-31 victory – which was easier than the score suggests, as the Chiefs only got that close due to scoring two converted tries in the last two minutes, when there was no more time to hope for a comeback. Bet on Crusaders v Hurricanes and claim a 100% (100 Eur) freebet at Ohmbet now! Both teams will field the same lineups as they did in the quarterfinals last week, with a single exception – All Black Joe Moody, who returns for Crusaders after not being available last week. 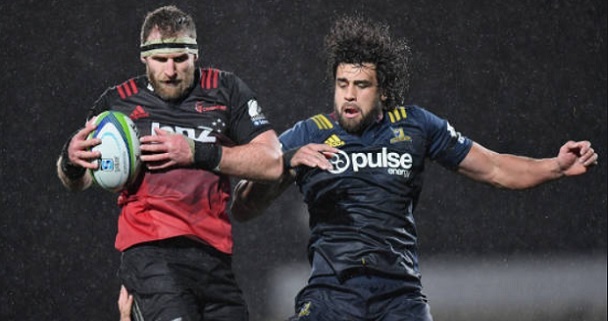 The Hurricanes got their mojo back last weekend with that solid display against the Chiefs, but beating the Crusaders will be a much, much tougher proposition. First of all Hurricanes will not have home court advantage anymore, which is key for them, as they won 22 of their last 23 matches in Wellington (!! ), and are always a beast of a team there. Away from hope they have always been much more vulnerable. And, of course, there`s the fact that the Crusaders are the best team in the league. The Crusaders have really not taken a moment to slow down this season, they were excellent right from the start and have proved to be in top form in these playoffs, as shown in last week`s destruction of the Sharks. They are basically the All Blacks team from 1 to 8, and having so much talent and power in the scrum has made them impossible to handle for two years straight. Even if the Hurricanes played very well last week, their recent form remains a bit questionable, and they continue to be just a bit shaky. It`s unlikely that in these conditions (or any conditions, to be fair) they could win on the road against the best team in the league. In the two meetings in the 2018 regular season each team won its home game, as expected. Hurricanes won by 10, while Crusaders won by 11. Look for the Crusaders to dominate the forward battle, impose their strength in the scrum and play with less errors than their opponents. The point spread currently stands at 8 points and it`s dropping. Those 8 points should be within the grasp of the Crusaders, so I will back them to cover the handicap. Prediction: Crusaders – Hurricanes 35 – 21.